This is the large textless version of a scan already in the gallery. I really love that big dog. haha, is Minami a little jealous :P? 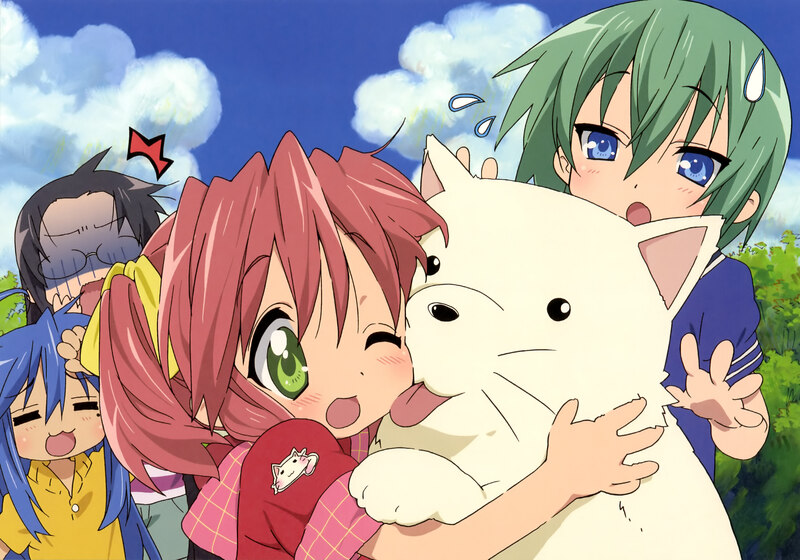 i absolutly agree with you, minami is my favorite character in lucky star... even though its almost imposible to pick someone over the other cause they all are awesome. Another perverted thought going through Hiyori's mind, eh? Wow this is just so adorable. Nice one. Aww... Ces Troop Cuute Cuutee!